Stereogram of church group outside Our Saviour's Lutheran Church. 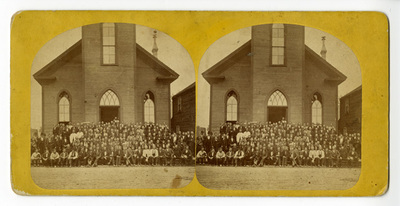 Back of stereogram has an official label which states, "The Norwegian Lutheran Synode Held at Minneapolis, Minn. 1875. The Representatives. "